There was not a single moment when I said to myself, “Stop”—even when I spent 10 to 15 minutes on one sentence! As a translator of Norwegian, I travelled to the Gothenburg Book Fair in September to meet with Scandinavian authors, publishers, and fellow translators. One of the translators I met there was Anar Rahimov, a translator of contemporary Norwegian prose into Azerbaijani. 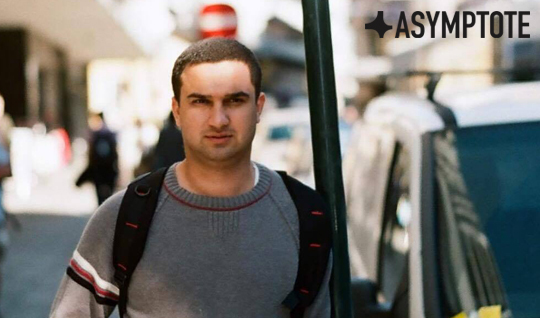 I was intrigued by Anar’s story as one of only two translators of Norwegian in Azerbaijan. I translate into English, probably the world’s most dominant language, and I was curious about the exchange between two relatively small languages, Norwegian and Azerbaijani. I wanted to ask Anar a little more about his work as a translator and how it fits into the literary culture of Azerbaijan. David Smith (DS): How did you come to learn Norwegian and what inspired you to translate literature? Anar Rahimov (AR): Well . . . it was quite accidental, I have to admit. I was working at the University of Languages in Baku as an English language teacher. Then an event took place that changed my whole career, priorities, and future standing in life. In 2010, I heard about an interview that included financing two and half years’ study in Oslo. Ever since childhood, Norway has appealed to me as a northern, far away, and very cold land. Besides, studying in the prestigious universities of Europe was tempting in itself. After a little hesitation, I applied and was selected.